As the temperatures begin to heat up across the country, people begin getting excited for vacation days spent beachside with family and friends. Consumers of all ages, demographics, and income levels flock to beaches and lakes in markets from coast to coast in hopes of soaking up the sun and getting some much needed rest and relaxation. What is a sky banner? A sky banner is a large format aerial billboard typically pulled, or towed, behind a fixed-wing banner towing plane. 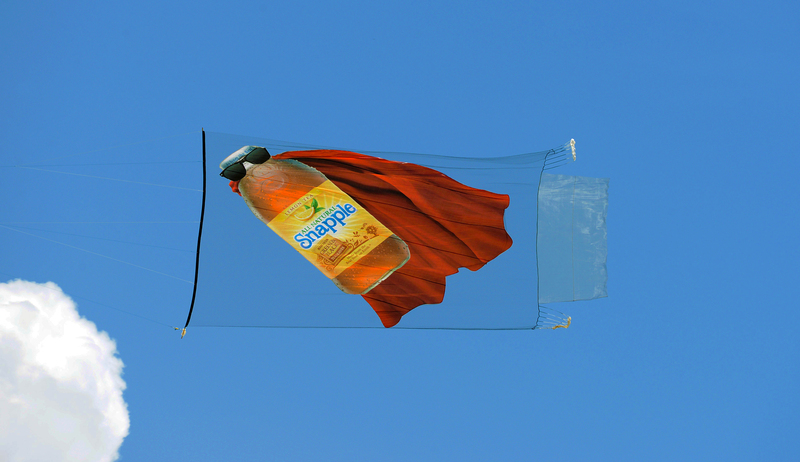 Sky banners can be flown by small, medium, and large brands and individuals looking to raise awareness in a certain region or area. These eye-popping airplane messages create the most impact over large crowds. 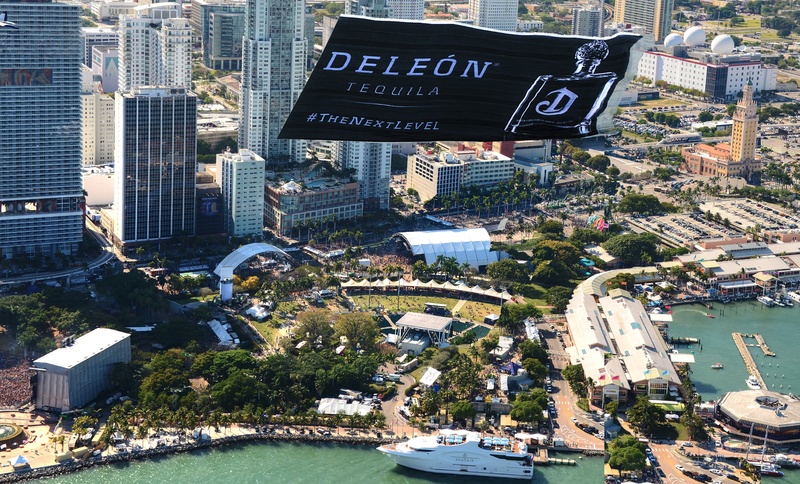 Commonly, advertisers choose to fly sky banners over beaches, sporting events, state fairs, music festivals, and other areas where people choose to gather outdoors. Other forms of aerial advertising include sky writing/ sky typing and blimps. After a 5 month hiatus, the red hot political thriller Scandal is returning to ABC this September in its regular Thursday 9/8c time slot. The approximate 9 million people that tune in each week for the show aren’t shy about taking to Twitter to express their views on the latest cliff hanger. In 2013, Scandal was ABC’s most socially active show, generating over 4 million tweets in season 2, outperforming social giant American Idol. With the release of a Scandal season 4 teaser promo video fresh in the minds of fans, ABC decided to stir the pot a little bit more over Labor Day weekend. 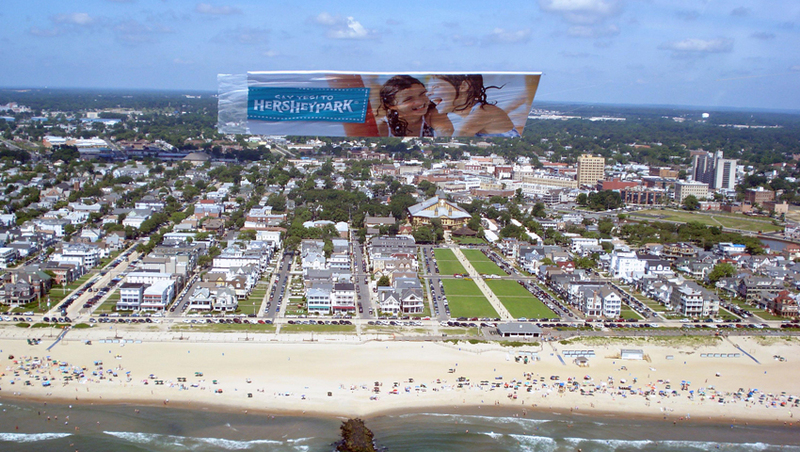 With the help of Van Wagner Aerial Media, ABC flew a large aerial banner with simple, yet striking copy over some of the most active beaches in New York, New Jersey, and Los Angeles. 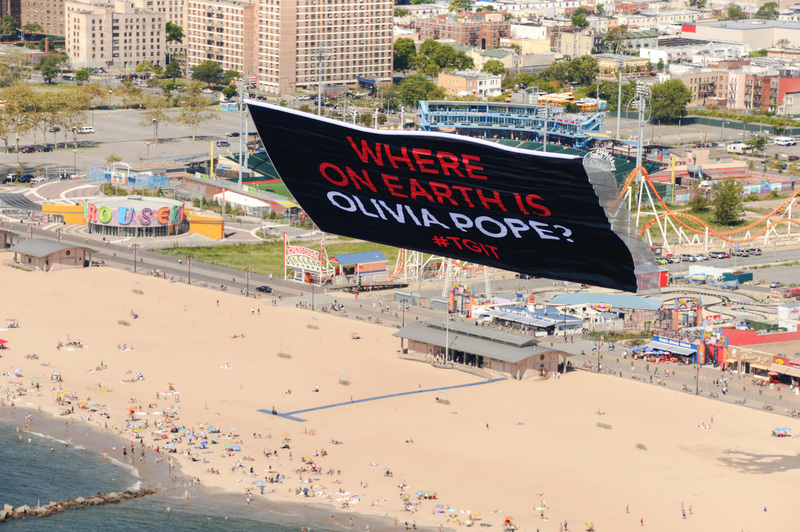 The banner, noticeably lacking any type of ABC or Scandal branding, simply asked “Where on earth is Olivia Pope?” and included the popular hashtag #TGIT to get the fans talking. Parents of young children have a lot of demands on their attention. They’re planning meals, coordinating activities and seeing to it that their kids are safe. With so much going on, it’s often difficult for advertisers to market to parents with young children. The trick is to pick the most opportune times and locations to reach them, and then seize the opportunity when it presents itself. Aerial advertising is a tremendous asset on this front, as it allows businesses to be in the right place at the right time with the right message. Here are three keys to marketing to parents with young children. 1) Location, location, location: Parents are always looking out for events and destinations that are child-friendly. As a business, you should maximize your efforts to reach families with young children by targeting these events with campaigns using aerial banners and advertising blimps for maximum impact. Beaches (and big lakes like Lake Michigan) during the summertime are a great opportunity to reach this demographic in large numbers. 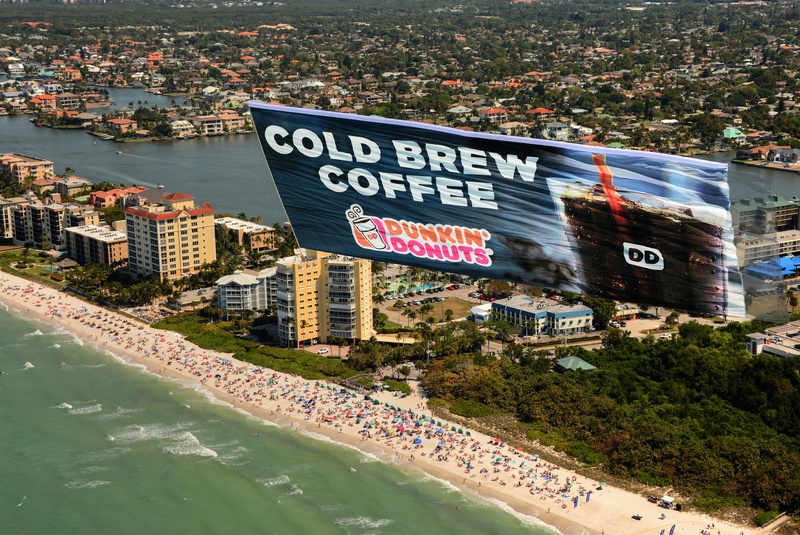 The best aerial advertisements often elicit a double-take. You want a banner with something funny or clever, or a really good photo or picture. You always look for something that will get someone to stop and say, “Wow, that’s really funny,” or “Hey, that’s clever!” This format has the unique ability to pull people out of their routines and grab their attention. To give you some examples, we showcase four of the all-time best examples of banner advertising.